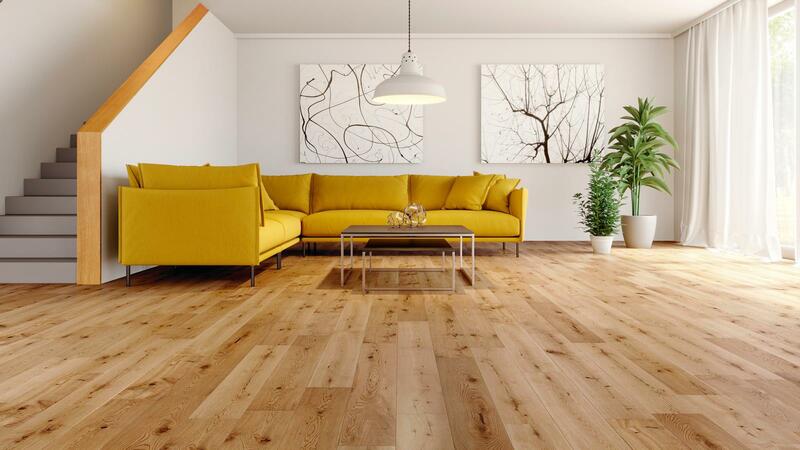 Natura 150mm Solid Oak Satin Lacquer wood flooring has a wonderfully rich, almost golden hue that will add an elegant style to just about any room you can think to lay it. Please note this floor contains boards between 400mm and 1500mm, and we cannot guarantee the distribution between the extremes. A 1.5% tolerance is allowed on size specifications with this product. Recently bought a hardwood flooring for our through lounge and hallway. We are very pleased with the product, also with the service we received from the showroom in Purley Way, Croydon and the delivery driver who took great care in offloading the wood from the van to our home. Will certainly use them again and have recommended them to friends and family. My oak floor is bowing in sunlight. How can I combat this? 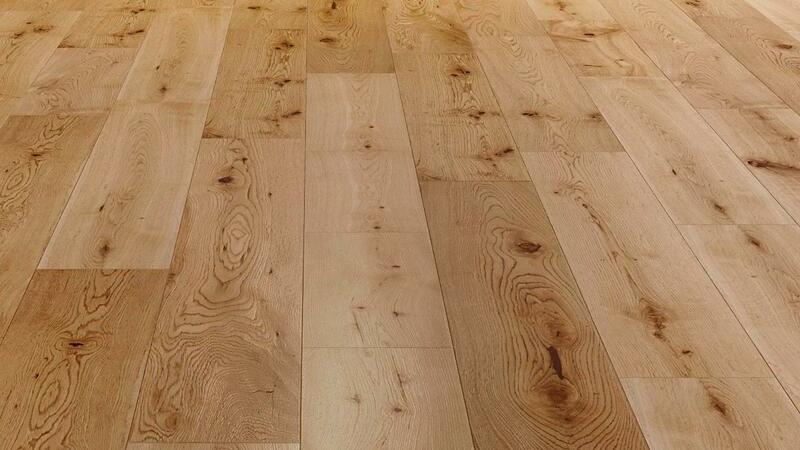 Can the Natura 150ml Oak lacquered solid wood floor be used in wet areas such as a kitchen? Is this product suitable for a solid screed floor which will have a DPC covering and a 5mm fiberboard underlay. I intend to float the flooring by glueing the T&G along all sides. Can you please confirm the grading on the flooring? This product is a rustic grade floor which has colour variation, knots of all shapes and sizes, mineral streaks, checks, worm holes and grain burls. Coloured wood filler is used on any open characteristics that occur in this grade to produce a smooth surface of flooring.